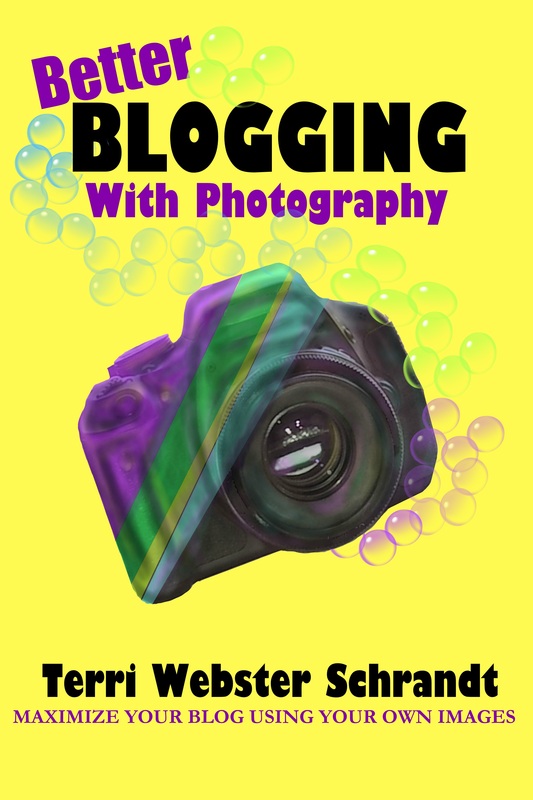 In honor of my one year anniversary of the launch of my eBook Better Blogging with Photography, you can pick it up FREE, from July 8-10, in the Amazon Kindle store! As a blogger, are you weary of constantly hunting for images to illustrate the subject of your blog posts? Perhaps you are a new blogger struggling to get more readers. Or a seasoned blogger continually seeking inspiration for quality blog posts. This guidebook is designed to help you utilize your own images on your blog or website. Recently, I was pleased to see that fellow blogger, Cathleen Townsend of The Beauty of Words, published this review of my book. This is an informative little book that begins with the pitfalls of taking random pictures off Google and posting them on your blog (always make sure they’re licensed for commercial reuse), but it goes much further than that. Ms. Schrandt covers an array of image-related enhancements to blogging. It is hard to believe it has been one year since I self-published this little book! If you can spare the time, I would be grateful for an honest review! Thanks Liesbet! Did some writing on it today, also working on a guest post for Donna! Image creation IS a lot of work–you know! Full day of writing for me, too. Well, working on my memoir, whether it was writing, editing or browsing through existing material. My eyes are shot now and I have to turn the computer off!! Looking forward to your guest post for Donna – I sent mine off the end of last month. Oh cool, looking forward to that! Congrats on writing today! Yay! Thanks so much, Kathy! MY TBR is so overstuffed–I’ve almost finished Rightsizing and need to get that review posted and shared on my blog, too!! Thanks, Judy! Yours has been out a little over a year, too? Free download of this book July 8-10. I snatched it to get some good ideas, but I also want to publicize it because, as a former technology teacher, I wanted to remind everyone that just because you can say “it is on the Internet” or “I found it on Google” about a photo doesn’t make it free. Although copyright laws have gotten way out of hand from the original intent, thanks in large part to the movie industry giants, they are still laws. In the case of photography the photographer does own the picture. I’d rather use my own work or find a public domain site than risk stealing someone else’s work. And there is always an option to purchase stock images. Happy Blogging! Thank you for re-blogging, very much appreciated! A great book which I reviewed on my blog. A must read. Thank you for all your support, Marje! Love your ebook on photography, Terri. It is so helpful. I can’t believe it has been a year since you published it! Congratulations! Thank you, Molly! Glad you found it helpful! This good information on blogging photos. A very generous offer, Terri. Thanks so much, Terri – I have just downloaded this book now! I have also shared the love on my social media! Happy Book Anniversary! Congratulations on the one-year anniversary of your book, Terri. As you know, I found the book a life saver as I was not 100% sure that all the images I’d used on my blog were actually free to use. Wishing you much success with the next book. Thanks for all your support, Hugh! Looking forward to more of yours as well! This is a very useful book, Terri. I have shared this post. Yes, but I’m always looking to make them better! !